Texas still ranks in the bottom third of states in spending per pupil in the U.S., with essentially no change in either amount or standing, a new study shows. The finding doesn’t help, and could undercut, the state’s position in a long-running school finance case. Figures compiled by the National Education Association and released Friday show that Texas schools are spending an average $9,561 per student in the current school year. 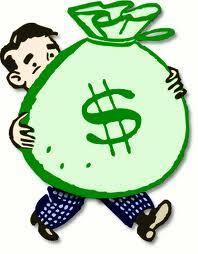 That is well under the national average of $12,251 and ranks Texas 38th among the 50 states and District of Columbia. Of neighboring states, only Oklahoma spends less, said Clay Robison, spokesman for the Texas State Teachers Association, the state NEA affiliate. Last year, Texas also was 38th in the comparisons, based on numbers furnished to the NEA by state education agencies. In the 2014-15 school year, Texas spent $9,559 per student in grades K-12, based on average daily attendance. The national average was $12,061. In recent years, Texas has fallen about $1,000 per child further below the national average, said Noel Candelaria, president of the state NEA affiliate. This school year, Texas is $2,690 below the national average. Five years earlier, in 2010-11, it was $1,685 behind, he noted. Back then, Texas spent $9,462 per child. The 2010-11 academic year was the last one before the Legislature whacked $5.3 billion from public schools. “At a time when the Texas Supreme Court is considering a lower court ruling that found the state’s school finance system unconstitutional, these figures tell a shameful story,” Candelaria said in a statement. Combining budget writers’ decisions in the past two legislative sessions, the Legislature put an additional $6 billion into public schools, Solicitor General Scott Keller noted. But former Chief Justice Wallace Jefferson, who appeared as a private lawyer for Dallas, Fort Worth and dozens of other districts suing the state, said lawmakers have put the districts in a straitjacket by raising expectations of student performance while lowering the state’s share of the total tab. Meanwhile, the Legislature effectively has imposed an unconstitutional statewide property tax because “once again local districts are without meaningful discretion over their rates,” he said. Even if one accepts Keller at his word, that barely takes Texas back to where it was before the 2011 cuts, and that’s without accounting for enrollment growth or stricter accountability standards. I don’t expect Texas to be at the top of a list like this, but we do have an awful lot of students who live in poverty, and an awful lot of students who come from homes where English is not the primary language spoken. We also don’t do much in terms of pre-kindergarten, meaning that not only do we have a lot of high-need students to educate, we let them fall farther behind by not preparing them for school ahead of time. Yet we demand more of our districts and our students. It makes no sense. The argument stated by former Justice Jefferson is basically what the Supreme Court found in the last school finance lawsuit, in 2005. That led to the 50-cent cut in local property tax rates, which was supposed to be made up by the state in the form of the business margins tax and other sources. We all know how that has gone. Having the state pay a higher share of the public education budget is the right idea – local districts have been shouldering an ever-increasing about of the burden in recent years – but it needs to be done in a way that doesn’t allow the state to shirk its responsibilities. I hope that’s what this Court has in mind, and if so I wish them luck in writing an opinion that will get the Lege to do what it needs to do. A statewide teachers group filed a lawsuit Wednesday in an attempt to block the state from implementing a controversial system that for the first time ties assessments of educators to student performance on standardized tests. In a lawsuit filed against Texas Education Commissioner Mike Morath in Travis County District Court, the Texas State Teachers Association alleges that the new teacher evaluation system — the Texas Teacher Evaluation and Support System, or T-TESS — violates state law by requiring school districts to base 20 percent of each teacher’s evaluation on “student growth measures” that include standardized test scores. Those student growth measures may include “value added measures,” or VAM, which are “typically based on a complicated formula that compares actual student test scores to the scores predicted by a mathematical target based on the standardized test scores of similar student populations,” the association explained in a statement. The new teacher evaluation system, which the state has been piloting for over a year, is set to take effect July 1. Participating school districts will use it to make pay, employment and other consequential decisions. It replaces a nearly 20-year-old state-recommended teacher evaluation method known as Professional Development and Appraisal System, or PDAS. The evaluation system is called T-TESS, and I wrote about it here. The Chron notes that the TSTA wasn’t the only entity to sue over this. The other suit, brought by the Texas Classroom Teachers Association, claims the state education commissioner does not have authority to set specific evaluation criteria. The lawsuits add to a growing list of teachers suing states over similar student test-based systems. Locally, the Houston Federation of Teachers union sued the Houston Independent School District in 2014 over its evaluation method. That case is set for jury trial in September. HISD was one of the first large school districts in the country in 2011 to link teachers’ job ratings to their students’ test scores. Traditionally, school principals graded teachers based solely on observing them in the classroom. The Houston school district, however, has struggled to find ways to rate all teachers in the student performance category. State exams, for example, are not offered in certain grade levels or for elective courses. Last year, 43 percent of HISD’s teachers got student performance ratings. Even so, Zeph Capo, president of the Houston Federation of Teachers, said the state should not move to a similar test-based evaluation system. See here and here for more on that HISD lawsuit. Note that the evaluation system is being pushed by one of the never-ending supply of well-funded “education reform” groups, and the law firm representing HISD in the suit also represents that group. That still strikes me as a conflict of interest. There may be value in using this kind of metric as part of a teacher’s evaluation, if everyone is in agreement about what is being measured and what the milestones are, but as the Statesman notes, we do not have consensus on this. Morath, who was previously a Dallas school district trustee, has advocated for the use of value-added models, which supporters say increase teacher accountability and effectiveness. The American Statistical Association, however, has cautioned school systems against relying on the models, saying teachers’ performance accounts for only a small part of the variability in how students progress. “Ranking teachers by their VAM scores can have unintended consequences that reduce quality,” the group said in a 2014 statement. Seems like a pretty big caveat to me. I can’t say I’d want my job evaluations based on something like this, either. A statement from the TSTA is here, and Trail Blazers and the Rivard Report has more. Texas public schools would get back a chunk of the $5.4 billion in state funding they lost two years ago under a budget proposal adopted by the Senate Finance Committee on Thursday. But they probably should not expect much more than the $1.5 billion the committee added to the 2014-15 state budget, said Chairman Tommy Williams, R-The Woodlands. “It is going to be very difficult given the other demands we have in the budget to add any more,” said Williams. Williams plans to pay for all the demands, including water projects, highways and some form of tax relief, without exceeding the constitutional spending cap. That would leave about $1 billion of projected state revenue over the next two years unspent. Lawmakers could exceed the cap with a simple majority vote in both the House and the Senate, but there is little appetite within the GOP to do so. Many Republicans are also reluctant to increase education spending until the Texas Supreme Court rules in the pending school finance litigation. A district court judge found the school finance system unconstitutional earlier this month. “Based on the politics of the state, we will not see the $5.4 billion that was cut last time go back into” education, said state Sen. Royce West, D-Dallas. The money would come on top of the proposed $35.1 billion in general revenue for public education, which unlike the 2011 budget did, accounts for new students expected to enroll in the state’s public schools. The additional funding approved Thursday would also restore some of the $5.4 billion reduction in state funding that lawmakers passed during the last legislative session. The full Senate must still approve the Finance Committee’s recommendation. During Thursday’s hearing, lawmakers on the committee suggested they might fight for more education funding, including money for measures like early college high school programs and the Student Success Initiative, which provides remedial help for students who fall behind. The $40 million for pre-kindergarten — which Sen. Tommy Williams, R-The Woodlands and chairman of the committee, referred to as a “down payment” — would replace a fraction of the $200 million in competitive grants the Legislature eliminated in 2011 for full-day programs for low-income children. The funds would be distributed proportionally to school districts based on eligible student populations. Again, note the partial and incomplete nature of this. The Observer highlights one salient feature. Finance chair Tommy Williams (R-The Woodlands) said the new amount would mean “no net revenue losses for any school district for 2014. You may recall that HISD was talking about raising their tax rate to make up for an operational shortfall next year, which was caused by the 2011 budget cuts. If this extra funding, which keep in mind only represents 28% of the $5.4 billion that had been cut in the first place, prevents the need for that, it would at least be something. That question hasn’t been answered yet. Anna Eastman, president of the Houston Independent School District’s board, called the Senate panel’s decision a step in the right direction. Until that gap is closed, Eastman said, HISD cannot consider hiring new teachers or taking on additional costs. Education Committee Chairman Dan Patrick, who also serves on Finance, disagreed, citing other pressing needs, finite dollars and a constitutional spending cap. The $1.5 billion increase is recommended on top of the committee’s starting-point budget, which accounted for student enrollment growth. So yes, it is a choice, just not one that Dan Patrick wants to make. But it’s very much a choice, and don’t let anyone mislead you about that. Assuming this survives the full Senate and the House, this is good in the sense that it’s not bad, but it’s not good in a quantitative sense. How can it be, when schools are still down almost three quarters of the original total? I’ve been trying to come up with a snappy analogy for this, but really, what it comes down to is simply the fact that the Lege cut a bunch of money last time, and has now restored just enough of it to keep things from getting worse, but not enough to make anything better. We’re stuck with this until the Supreme Court rules on the school finance appeal. Just take a look at that chart I embedded above of inflation-adjusted dollars per student, provided by the office of Rep. Gene Wu, and you’ll see how little that $1.5 billion will do. The committee left just one piece of the education budget in limbo: funding for a new charter school authorizer that would be created under Sen. Dan Patrick’s Senate Bill 2—a seven-member appointed board to oversee the state’s charter schools. It was a telling diversion in an otherwise agreeable budget meeting to watch a pair of Democratic senators try to make Patrick, the usually tight-fisted tea party favorite, defend the extra cost of his school reform plans. Dallas Democrat Royce West began by saying he wasn’t convinced Texas should create a separate board for authorizing charter schools. That’s already the State Board of Education’s job, West said. He worried about putting charter school approvals in the hands of an unelected board and questioned how they’d be held accountable. The move clearly irritated Patrick, who said he wished West had told him about his reservations sooner. (West said he already voted against it once in their workgroup, which should have been sufficient notice.) Members of the charter school authorizing board, Patrick said, would probably need Senate confirmation, and might answer to the State Board of Education—though those details aren’t final yet. SB 2 is still pending in Patrick’s education committee after a hearing last week. The Legislative Budget Board has estimated Patrick’s bill would carry other huge costs to the state, growing every year—from $24 million in 2014, up to $55 million in 2018. Those costs include students coming from private or home-schooling into a charter school, new funding for charter school buildings, and state employees to oversee all the new schools. Today’s argument focused on what the new Charter School Authorizing Authority would cost. “Instead of fixing the agency that is in charge of this responsibility, you want to turn and create a new bureaucracy, more state employees, and I promise you this [charter school authorizer] budget will not remain where it is,” Whitmire said. I wouldn’t take that bet. Remember how the Republicans in the Lege underfunded Medicaid by $4.5 billion, which they will have to tap the Rainy Day Fund in 2013 to deal with, in order to make the budget for this biennium appear to be “balanced”? Turns out we’re going to need a lot more than that. Kudos to the Quorum Report’s John Reynolds for reporting State Health and Human Services Commissioner Tom Suehs’ latest prediction on the looming state Medicaid funding shortfall which will have to be addressed by the Legislature when it meets in January 2013. As has been widely reported, the Texas Legislature passed a so-called “balanced” budget by intentionally under-funding the Medicaid program by $4.5 billion, essentially choosing to postpone payment of that bill until 2013. Now, escalating caseload growth will bump that figure into the atmosphere, Suehs told hospital administrators in a speech Wednesday. That multi-billion dollar bill to sustain the Medicaid program – one of the state’s biggest cost drivers – will drop on lawmakers’ desks next January at the same time that demand for services elsewhere in the state budget continues to increase. Leaving a shortfall in the current budget has “a compounding effect” on future needs, Suehs told QR after his remarks. Still, he acknowledged at the conference that the level of need in the Medicaid budget concerns him. “I don’t sleep some nights just thinking about having to lay that type of number out at some point,” he said. Reynolds goes on to point out that the Legislature probably will spend some $7 billion left in the state’s Rainy Day Fund to cover part of the Medicaid shortfall. But Sueh’s predictions highlight the importance of the new Medicaid “transformational waiver” I highlight in my column in Wednesday’s print edition of the Chronicle. Approved by the Obama Administration in December, the new waiver empowers local hospital districts to re-define the rules for Medicaid reimbursements. Proponents believe the changes, if done correctly, could save taxpayer dollars, and help fund more patients who will be eligible for care under the federal health reform law. Couple things to note here. One is that the recent uptick in sales tax revenue means that the Rainy Day Fund is a bit fatter than it was at sine die. That has led some folks to call on Governor Perry to call a special session to use some of that extra dough to mitigate the second year of cuts to public education. The TSTA has a petition you can sign if you want to join in that call. I support the effort, but I expect it to go nowhere for precisely this reason, which is the main reason why the Lege and Perry resisted so mightily calls to use the Rainy Day Fund originally. You can’t spend what’s already spent. Suehs wasn’t the only Perry appointee going off the reservation. Texas Education Commissioner Robert Scott has been talking out of school (as it were) as well. Scott warned school administrators that the ban on social promotions – a legacy of Gov. George W. Bush – will be lifted unless lawmakers provide money to help struggling students. More money also will be needed to pay for the state’s new school accountability system, whose high-stakes testing may be going too far, Scott told school officials. Everyone agrees that Texas needs to do a better job of educating the state’s five million students in public schools. Folks like [Scott] McCown and [Sen. Leticia] Van de Putte, who serves on the Senate Education Committee, say it will take more money. Political realities mean that significant tax reform won’t happen next session, he said. It will take a modest, smart approach to put Texas on the right road resulting in several billion dollars of additional revenue, he said. “It would be a responsible use of the rainy day fund and it would include revenue measures such as increasing the cigarette tax and eliminating the high cost gas exemption from the severance tax,” McCown said. Well, that’s what the next couple of elections need to be about. Nothing will change until the Lege and the state leadership changes. EoW has more. There’s really no other way to characterize this. At a press conference this morning to discuss states’ rights, Gov. Rick Perry was asked about the thousands of Texas teachers expected at the Capitol this weekend to protest legislative proposals to cut billions of dollars in funding from school districts. Those proposals have prompted school districts across the state to begin laying off employees, including teachers, and the districts are preparing for many more layoffs to follow in the coming months. He said school districts, like families and businesses, need to set priorities when funding dips. But data from the Texas Education Agency does not suggest a surge in nonteachers over the last 10 years. In 2000, according to TEA’s website, 48.7 percent of school employees across the state were nonteachers. In 2010, that number was 49.5 percent. How totally gutless of Perry, though given his other prevarications about the budget it’s totally unsurprising. I’m sorry, but you can’t claim you were elected on a mandate to cut the budget and then point the finger at others for the consequences of those cuts. This is what he wants, and it’s what he claims the people want. He should be proud of this, not running away from it. One a coward, always a coward. Texas Politics, Veronica Flores-Paniagua, Forrest Wilder, and EoW have more. The Chron’s Texas Politics blog has been running a feature called “Chopping Block”, in which it solicits suggestions from the audience about possible ways the stats could save a few bucks, then explores what the effect would be. As you might imagine, the suggestions run a gamut of practicality and desirability. This is one that’s likely to be taken seriously. Jim Wiechkoske suggested consolidating the state’s school districts, which are now mostly organized by cities, into county-based districts. Rep. Fred Brown, R-Bryan, has filed a bill that would do exactly that. HB 106 would make the state’s school district boundaries match county lines, essentially having one school district per county. That’d make 254 school districts in Texas – we currently have 1,030. Debbie Ratcliffe, a spokeswoman for the Texas Education Agency, said consolidating school districts would be an incredible undertaking. Here’s a list of school districts by county. It’s not hard to look at this and think there ought to be some savings in there. Why it is (for example) that Archer County (2010 population 9,054) needs three ISDs, or why Bosque County (pop. 18,212) needs eight of them, I couldn’t say. Judging by their names, I’d guess each of these ISDs corresponds to a town within these counties, which speaks to the “local identity” Kouri mentions. I’ll feel sad if these small towns lose a piece of their identities, but again this would be entirely consistent with what they have been voting for, so I won’t lose too much sleep over it. Really, the place where I’d expect to see truly fierce resistance will be from the high-end school districts. I can’t imagine Bexar’s Alamo Heights ISD, Dallas’ Highland Park ISD, or Galveston’s Friendswood ISD (just to name three) being terribly happy at the thought of getting lumped with their countymates. And while there may be some efficiencies to be gained by combining smaller districts, I have a hard time believing that consolidating all 20 Harris County ISDs into one ginormous mass would represent a step forward. So while I expect HB106 to get some attention, I’m not sure that it will get very far, and I’m even less sure that it should. Is strong, according to Rick Perry. So strong, in fact, that we’re going to kick the legs out of social services, because clearly we don’t need them. When the state faced a budget crisis in 2003, Gov. Rick Perry’s office released a budget proposal that was full of zeros, stating that each agency would have to justify every dollar they spent. In 2011, the Governor has taken a different approach, releasing a budget with numbers. Perry’s budget proposal slashes spending on the Health and Human Services Commission (providing about half of what the agency requested), the Texas Commission on Environmental Quality (providing only two-thirds of what the agency requested) and the Public Utilities Commission (only giving the PUC about 10% of what the agency requested). Health and Human Services provides the state funding for Medicaid and Children’s Health Insurance Program. TCEQ regulates polluters, such as coal power plants and oil refineries. The TCEQ has been engaged in a long running battle with the EPA, which has long held that the TCEQ is far too lax when it comes to enforcing environmental law. The Public Utilities Commission regulates the state’s utilities and power grid. The state’s grid suffered from rolling blackouts during one of the coldest weeks in recent memory in Texas. What’s a few blackouts among rugged individuals? Naturally, Perry doesn’t share in the sacrifice he’s calling on others to make, as his budget (a copy of which you can see here) calls for more money for his slush funds the Texas Enterprise Fund and the Emerging Technology Fund. He also extracts some revenge on the Historical Commission for not giving his wife what she wanted in the reconstruction of the Governor’s Mansion. Classy. If nothing else, we have a clear winner in the furloughs versus layoffs debate. School superintendents want more freedom in determining class sizes and permission to cut employee pay or to furlough teachers and other district employees, which school boards cannot do today under state law. School districts also could save money by using the Internet to provide public notice about budget issues or hearings that now require paid advertising in newspapers, they said. There will be many such hearings in coming months as Texas lawmakers deal with a budget shortfall estimated at $15 to $27 billion without raising revenue or dipping into the state’s $9.4 billion Rainy Day Fund. Preliminary budgets released by the House and Senate last month would take a $10 billion slice out of public education. “Recognize and be aware that this is the new normal,” Senate Education Chair Florence Shapiro, R-Plano, said during the daylong hearing on the challenge facing both legislators and school officials. Sen. Shapiro has now filed a bill to allow school districts to cut pay and impose furloughs, among other things. It’s not fleshed out yet, so it’s too early to say what exactly it means. The bill in question is SB468. Furloughs of teachers, support staff and administrators, including superintendents, may be one way for school districts to absorb some of the budget cuts. Increasing class sizes would put the state on a retreat from the 1984 landmark public education reform in HB 72 that capped public classroom sizes at 22 students per teacher in kindergarten and the first four elementary school grades. “Our members are extremely concerned that a temporary budget crisis is going to drive permanent change in policy that will do lasting damage to students’ education and to our schools that will set us back for a very long period of time,” said Eric Hartman, of the Texas American Federation of Teachers. Liberating school districts from various mandates will not be nearly enough to absorb the budget cuts, they said. The bigger issue will be the state’s effort to embrace new school accountability measures and increased academic rigor prescribed by HB 3 that lawmakers approved in 2009, said Richard Kouri, spokesman for the Texas State Teachers Association. “You do not have the resources for the system to accept the mission that you have laid out,” Kouri said. Quite the reverse, it would seem. Put aside the question of how many teachers will ultimately get fired for a moment. The bottom line is that these “flexibility” measures are about undoing previous attempts to make schools and students perform better. Doing these things costs money, so since we don’t have any money we just won’t do them. I trust no one will be surprised when test scores go down and dropout rates go up and other bad things happen. Abby Rapoport has more. Finally, it should be noted that some money-saving ideas don’t involve these kinds of cuts. State Sen. Wendy Davis has filed a bill that would give school districts the same 20% discount to their base electricity rate that Texas’ colleges and universities get, which would save them a few bucks here and there. That bill is SB504, and I would certainly hope that it can pass easily. Her press release is here. Also, State Rep. Mike Villarreal is circulating a petition to protest the Pitts and Ogden budgets. Please take a moment to add your name to it. Maybe instead of firing 100,000 teachers, it would be somewhat less awful to allow for furloughs and salary cuts instead. Shapiro said she hopes to have a committee meeting “the very first thing out of the box” on so-called unfunded mandates, such as the salary issue. Under current law, the standard teacher contract is a minimum of 187 days, including 180 days of instruction and the rest for purposes such as professional development. A school district can reduce pay for noncontract workers — janitors and cafeteria workers, for example — and it can reduce teacher salaries from one year to the next if notice is given at least 45 days before the first day of instruction, Texas Education Agency spokeswoman Debbie Ratcliffe said. However, under a provision meant to safeguard a state salary increase, teachers and several other classes of employees who work for a school district in the 2010-2011 school year cannot get a salary cut if they stay with the same school district. Richard Kouri, a Texas State Teachers Association spokesman, said his group is split on the issue of furloughs and salary decreases. It does not want to limit options to deal with the funding crisis but believes the state should be increasing professional development days and “getting our salaries out of the bottom third in the country” to recruit and retain the best, he said. I guess the positive way of looking at this is that the reality of firing 100,000 teachers has sunk in a bit, and it’s made a few Republicans blanch, though they’re doing their best to put a happy face on things. The “solution”, if you can call it that, might soften that blow a bit – you will note that no one is claiming that even if furloughs and salary cuts are in the equation that there would not still be teachers getting fired – but at what cost? Does anyone really think that classroom instruction and student performance won’t be affected by this? Does anyone really think this won’t greatly damage our ability to hire and retain good teachers? Does anyone really think that the Republicans will make it a priority to undo any of this when better times return? I sure don’t. Martha has more. Are you ready for end-of-course exams? A preliminary run of the state’s new end-of-course exams shows that student performance is not where we would want it to be yet. Of the nearly 102,000 students who took the Algebra I test in May, for example, just 57 percent met the passing standard on the 50-question exam. Only 12 percent achieved “commended performance” for correctly answering most of the items. Results were similar on the six other end-of-course tests administered in hundreds of school districts across the state. Some that were required to give the exams so the state could gauge the early performance, while others voluntarily tested their students to get a leg up on the new requirement. Teacher groups said the scores are another indication that the state is putting too much emphasis on high-stakes testing. “We are certainly concerned about the impact on students and those who are now on the bubble as far as graduation,” said Richard Kouri of the Texas State Teachers Association. But one of the lawmakers who led the push to convert to end-of-course tests said the scores aren’t a concern, pointing out the new tests are more rigorous than the single high school graduation test students have been taking for several years. Martha wrote about this a couple of weeks ago, so go see what she has to say for some background. The good thing about these tests is that they’re administered like final exams, at the end of the year in which the student took the course. That differs from the current TAKS graduation test, which may cover material from two or three years earlier for a given student. But there’s a lot more of these tests now, and while the increased rigor is a very worthy goal, the combination of more high stakes tests with a higher bar to clear is likely to exacerbate Texas’ already problematic dropout rate. It’s one thing to ask more of students and teachers, it’s another to provide them with the resources they need to achieve what you demand of them. What are the odds that will be an end result of this legislative session? I hope we’re prepared for the fallout of this, but I’m pretty sure we’re not. [Democrat Bill White] reported raising $2.5 million from Dec. 4, when he got into the [Governor’s] race, and the end of 2009: about $90,000 a day, according to his campaign. Counting “transfers and in-kind donations” his campaign has collected more than $6.2 million, with about $5.5 million remaining in the bank. That figure, you’ll recall, is about half what Perry and Hutchison had on hand Dec. 31. True, but they’re about to spend all of their cash ripping each other apart. White will have to spend some money in the primary, too, but it’ll be in a much more positive fashion. He will be fairly close to parity with whoever survives the GOP race, and at anything close to that pace from December, which would generate over $16 million for the next six-month reporting period, he’ll be in good shape to compete. Again, not too shabby. We’ll get Farouk Shami’s fundraising report tomorrow. I’m sure it’ll have a large chunk of his own money, which is fine as long as he doesn’t pull a John Sharp on us. The 2011 legislative session is going to be so much fun. Sales tax revenues have taken double-digit dives for five months running; in each of those months, the state’s income from those taxes has been more than 10 percent lower than in the same month the year before. In a state where a steady rise in sales tax money has become almost a rule, the intake for the last 12 months is down more than 5 percent. And budgeteers assumed not only that they’d match the old numbers, but that they would exceed them. Budgeteers used one-time federal stimulus money for ongoing expenses in the current budget — in Medicaid, for instance — that create holes to fill next time they write a budget. The programs will still be there even though the stimulus money probably won’t. And an ongoing “structural deficit” — the kind of term that seems designed to scare people away from a conversation about money — creates an ongoing problem. In 2006, in an effort to lower property tax burdens, the state agreed to spend more on public education. Lawmakers created a new business tax, but it raises less than they agreed to spend on the property tax fix. The gap has to be filled every time they write a budget. Last time, the feds showed up like leprechauns with pots of stimulus money and kept Texas from choosing to use its Rainy Day Fund, raise taxes or make spending cuts. Next time, the stimulus money won’t be there, but the hole will be. In 2007, that gap was filled by surplus general revenue funds. More surplus funds were put aside that year to pay for the shortfall in 2009. Needless to say, no such surplus will be available in 2011. The Rainy Day Fund, assuming the votes are there to use it, might be able to cover both the revenue shortage and this structural gap, but I wouldn’t be too optimistic about that. But sooner or later, which is to say this session or the following one, that great big unaffordable property tax cut is going to have to be dealt with. The only thing that sustains me when I contemplate the possibility of another term for Rick Perry is the knowledge that this reckoning would have to happen on his watch. Of course, I’m sure he’ll defend the property tax cut to his last dying breath, and if he has to provoke a budgetary crisis or two to do that, he will. But his options may be limited this time around. It’s been just a few years since Texas lawmakers, facing a court order, undertook a massive overhaul of the school funding system. But booming enrollment, higher costs on such necessities as utility bills and a public reluctance to pay higher taxes have left many districts in a fix. “It looks like the state may be walking itself right into another lawsuit,” said David Hinojosa, an attorney for the Mexican-American Legal Defense and Educational Fund, which was part of the most recent school finance lawsuit against the state that resulted in the 2006 changes. “It’s going to be a significant issue for the next governor. 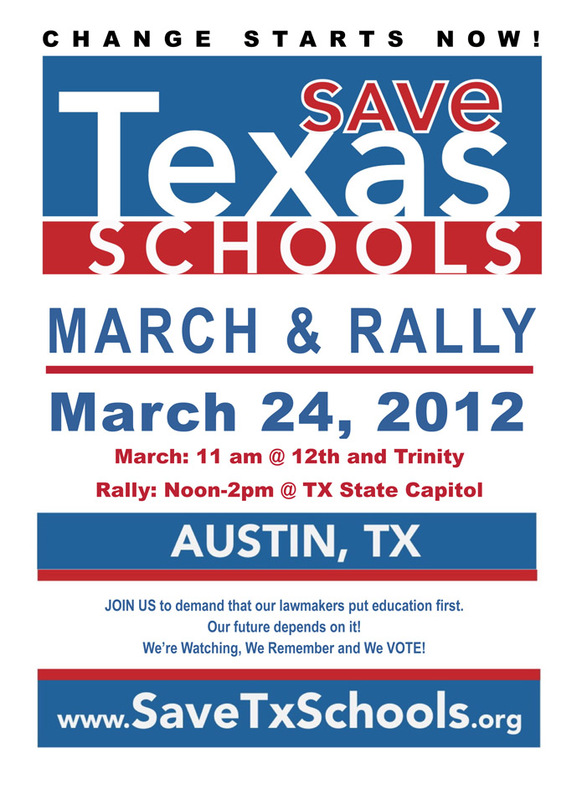 I just don’t see any way it can’t be,” said Richard Kouri, a lobbyist for the Texas State Teachers Association. The good news is that the solution is obvious and staring everybody in the face. It’s getting enough of them to admit it that will be the challenge. Oh yeah, 2011 is going to be heaps of fun. School buses. Who needs ’em? Homeowners in the Cypress-Fairbanks school district are able to keep their special tax break this year, but now thousands of students are left without school bus rides. To make a dent in a $14 million deficit, Cy-Fair will no longer provide bus service to most students who live within two miles of their school. The district also is cutting late bus service, which took home students who stay after school for sports, tutoring, band, detention or club meetings. “It’s putting a lot of people in a bind,” said Cy-Fair parent Angela LeBlanc. She and her husband both have work schedules that prevent them from driving their second-grade daughter to school, which starts at 8:45 a.m.
Cy-Fair Superintendent David Anthony announced the cuts in busing in late July after the school board, under heavy lobbying by homeowners and lawmakers, rejected his proposal to revoke or reduce the district’s 20 percent optional homestead exemption. Anthony said removing the tax discount would have netted the district an extra $45 million this year. The transportation cuts will make up a small portion of the difference. Cy-Fair spokeswoman Kelli Durham said stopping the two-mile bus runs will save about $2 million. The move will affect some 11,000 children, or 11 percent of the student body. The district had previously cut 75 jobs to make up part of the deficit. I’m thinking the district’s “great reputation” that Superintendent Anthony was worried about will also take a hit as a result of this. The Cy-Fair school board did not sign off specifically on the bus changes but voted in late June to give Anthony permission to cut $14.2 million from the budget. You have to admire the sense of entitlement, if not the priorities, of that caller. Clearly, he or she had en effect on Youngblood’s actions. Of course, if the only people calling in were like this person, and not those who were going to be adversely affected by this decision, it’s easy to see why it had that effect. How many other school districts that give that extra exemption will see the same dynamic? Teachers also are worried about the cuts in busing, said Frances Smith, who is president of the Texas State Teachers Association in Cy-Fair. She said she’s not sure how students who don’t have rides or can’t afford cars will be able to make up tests after school or participate in clubs. “The students that don’t have rides, they’re going to be at a disadvantage,” she said. I hope somebody keeps track of all the Cy-Fairs out there and their test scores. Maybe if their students’ performance declines noticeably, the residents will demand a reassessment of this decision. Or maybe it’ll turn out that the reason people moved to places like Cy-Fair was really the property taxes, and not the quality of the schools. At least we’ll finally know for sure. view held throughout our polling from 2003 through 2007.
fund public schools, versus 20% who say it has sufficiently addressed the issue. ago to 71% now, the current 7-to-2 sentiment remains overwhelmingly lopsided. Emphasis in the original. Other subjects polled include standardized testing and teacher pay. You can see all the data, with graphs, in this large PDF file; there’s also a video presentation. The remarkable thing is how stable the numbers have been since 2003, in all areas. Maybe this is how people have always felt, going back to the creation of the public school system, I don’t know. The disconnect between what people say they want and what they’ve been getting is still pretty striking.